Benefits of omega 3 fatty acids – Have you heard about omega-3 fatty acids? The meaning is a healthy fatty acid that is exquisite for health. Omega-3 fatty acids are a form of unsaturated fat that needed by the body. This fat is obtained by consuming healthy foods such as tuna, salmon, mackerel, sardines, mackerel, canola oil, walnuts, nuts, soybeans, avocados and others. The health benefits of omega 3 fatty acids are very large when consumed according to dose and levels. To get the omega-3 fatty acids, we need to eat certain foods such as fish, or nuts. But now Omega 3 can get easily in supplements form. Based on the Institute of Medicine, a person’s need for omega 3 is different between men and women. For adult males needs 1.6 g and 1.1 g for adult women. This amount is sufficient for the daily requirement for omega-3. So what are the health benefits of omega-3 fatty acids? Here we explain further. Omega-3 fatty acids are very useful for heart health. These fatty acids can make arterial become more elastic. Not only that, these fatty acids can also lower your risk of high blood pressure. Eye health is one of the important things. Omega 3 includes an essential substance for the eyes. Based on research conducted on an ongoing basis that good cholesterol can be improved by eating fish that contain omega 3 regularly. In addition to lowering bad cholesterol, these foods can also raise the good cholesterol, so it is good for heart health. The next health benefits of omega 3 fatty acids is for the brain. These fatty acids play a role in the development of cell membranes in the brain neurological system. Extraordinary benefits of omega 3 fatty acids can improve memory and thinking person. Omega 3 is also very nice for those who often have problems with depression. Foods that contain omega-3 fats is excellent for curing a variety of diseases associated with inflammation such as eczema, psoriasis, asthma and arthritis. Blood clotting is a major cause of the blockage of blood vessels. This problem can lead to stroke. 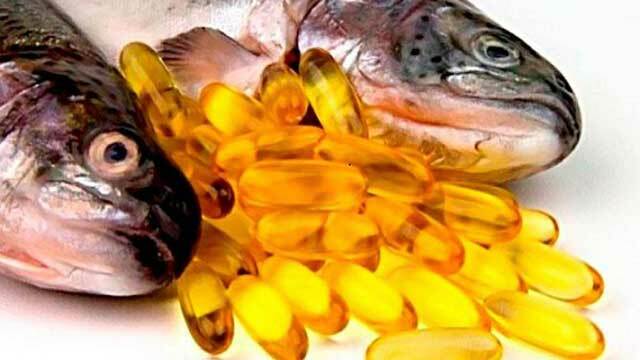 Consuming omega-3 fatty acids are imperative to stay away from this chronic health issues. The health benefits of omega 3 fatty acids are also crucial for pregnancy. Pregnant women are advised to consume foods that contain omega 3. Omega-3 fatty acids are beneficial for maintaining the mental and physical health of the baby. Consuming foods that contain omega-3 fatty acids are paramount for health. One benefit is to stay away from Alzheimer’s disease. Consuming omega-3 fatty acids are also beneficial for the absorption of vitamins. A variety of fat-soluble vitamins such as vitamins A, D, E and vitamin K can be absorbed more optimal if the omega 3 needs are met in the body. Thus some of the health benefits of omega 3 fatty acids. Consume fatty acids should be by the amount needed each day. For men is 1.6 g and for women is 1.1 g. Consuming excessive fatty acid is also not recommended because it can lead to other diseases.